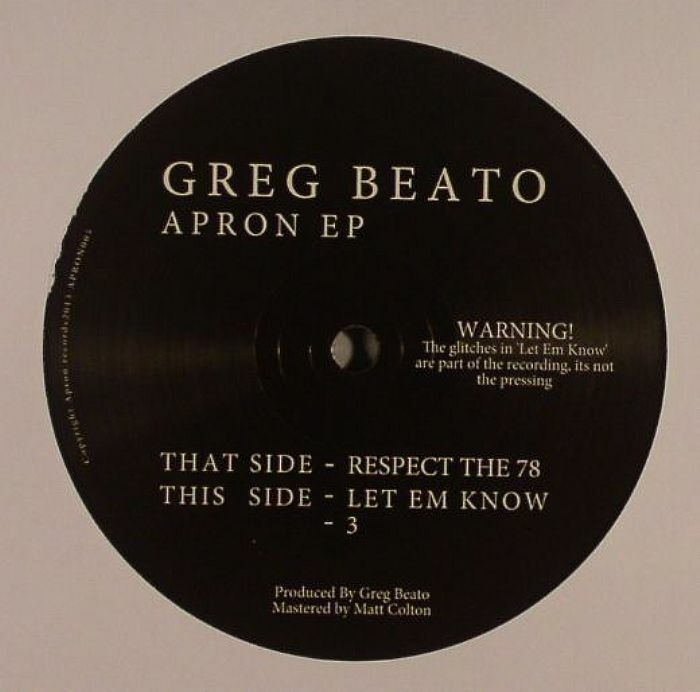 Greg BEATO Apron EP vinyl at Juno Records. Until now, FunkinEven's Apron imprint has been used solely as an outlet for the Eglo artist's own productions/edits, chief amongst them the beautifully wrapped Chips & Sweets 12" from last year. Sometimes talent is too good to pass up and FunkinEven's opened the Apron stable to welcome the unheralded production chops of 19 year old Miami based producer Greg Beato. This three track release presents Beato as the latest US producer to join the Stateside ranks of grimy hardware house exponents and it makes complete sense that he's also been lined up for a release on LIES later this year. Lead cut "Respect The 78" sees crunchy kicks rain down on heavily filtered arpeggios and thunderous synths, whilst "Let Em Know" rips right into a powerful locked groove that occasionally feels like it's tripping over itself. 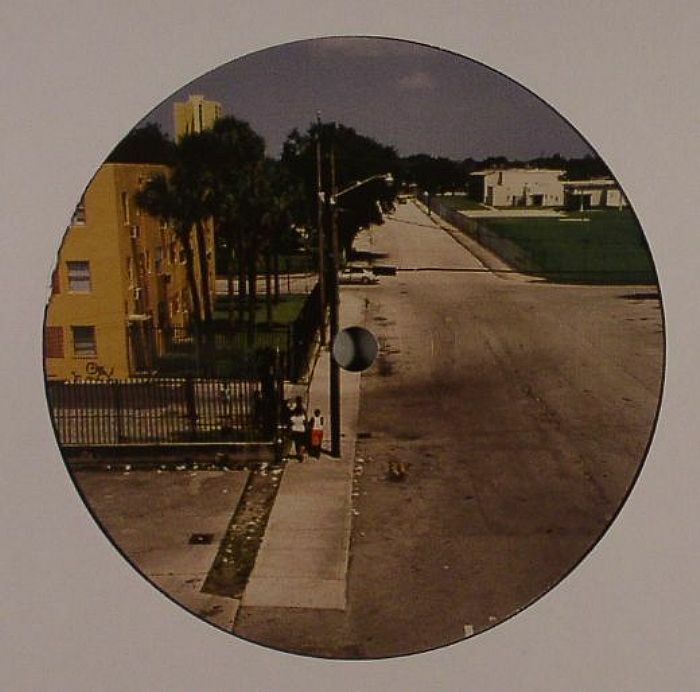 Final track "3" heads down the abstract Motor City techno route and feels as vital as anything to have come from the likes of Naples, Huerco S or Delroy Edwards in recent months.